This year the garden has to be one of the prettiest. The thatched roof bird table! They are spectacular this year! And don't tell, but the lilacs are budding! Soon Linderhof will be filled with flowers again! Your garden is beautiful, Martha! I love the brick courtyard and pergola! Very pretty indeed. 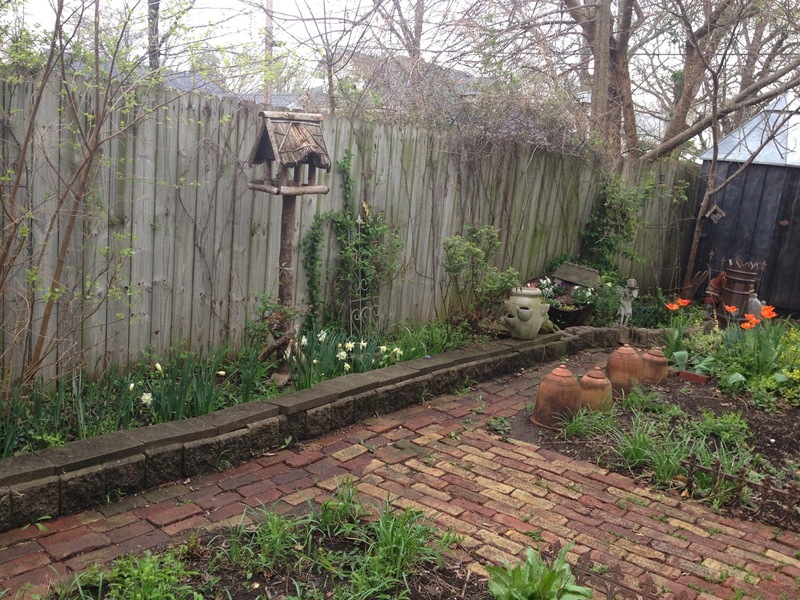 Grape hyacinths have a tendency to spread so you'll likely get more next year. I noticed some growing in the alley today behind our neighbors house. GSS -- we have one growing in our drive -- far away from the rest -- and blooming even! It's so lovely! I especially like your Fairy Garden. Oh Martha your garden is just as exciting to look at as your house is! 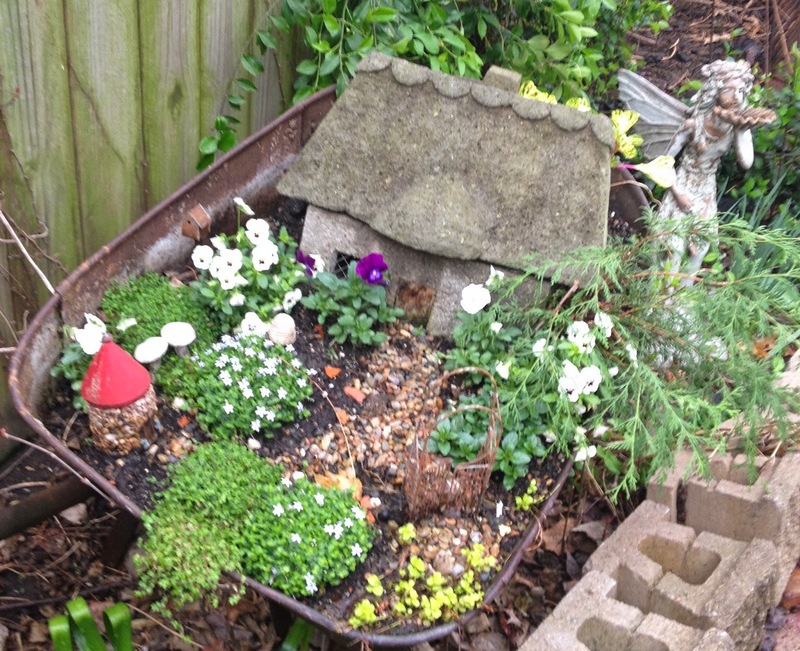 Your garden is wonderful, and that fairy garden in the wheelbarrow is a super cute idea! 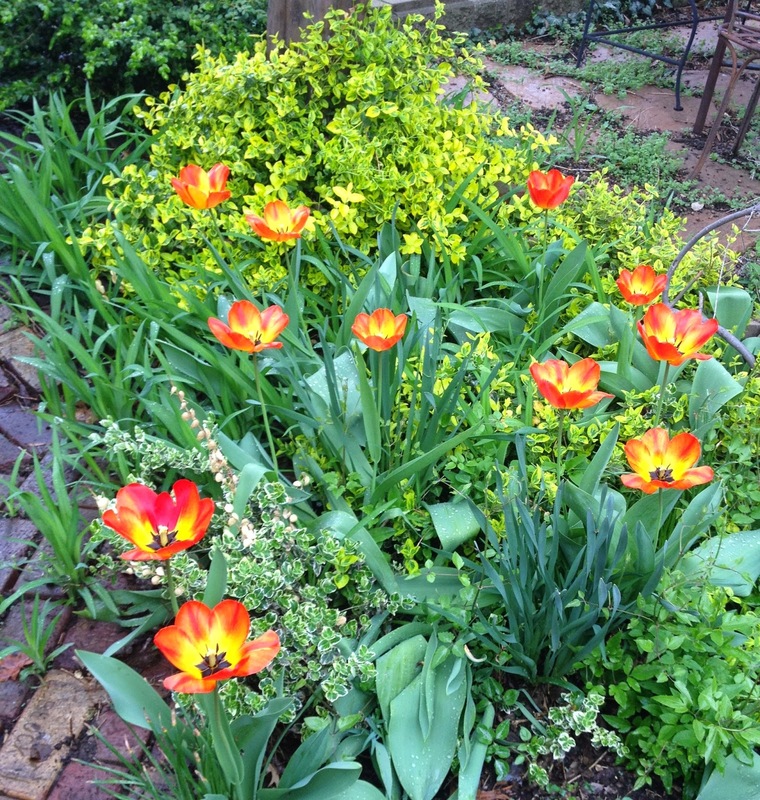 I have the very same tulips as you do too! Thanks for sharing all that beauty with us and have a great week!